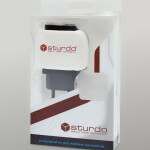 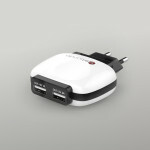 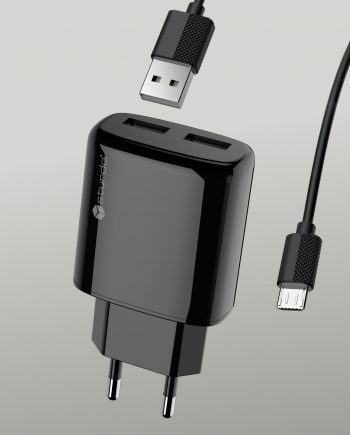 Sturdo Dual USB Charger includes two USB output ports. 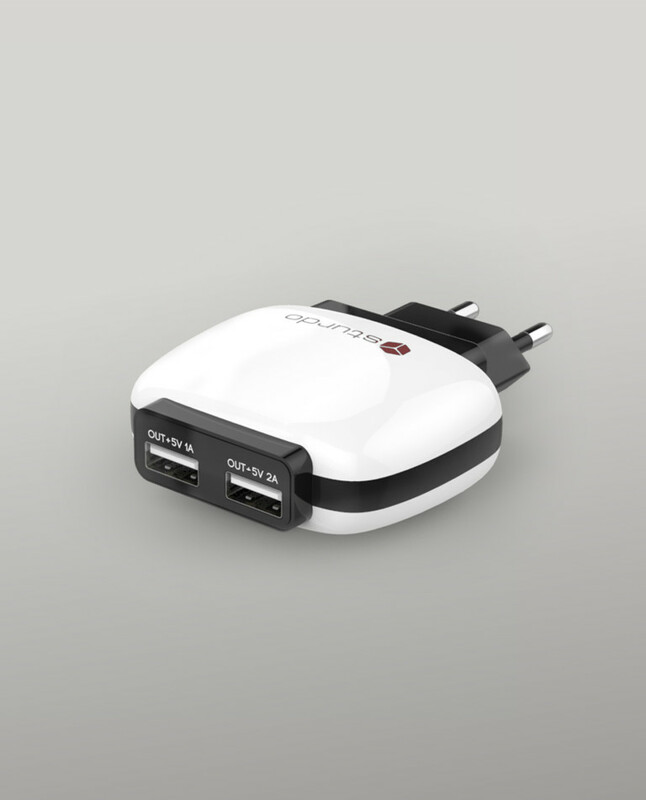 You can charge two devices with 5V/1A output or one high energy consuming device (eg. 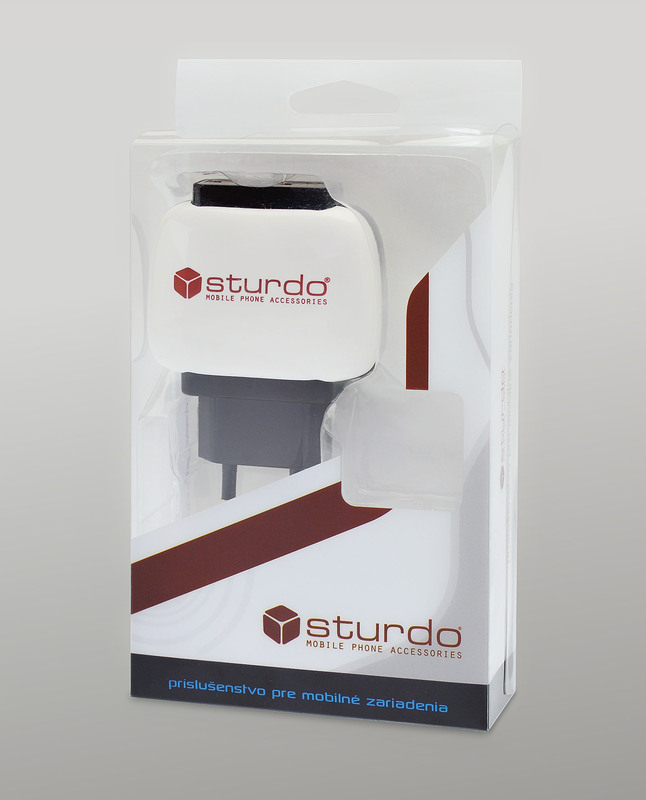 tablet) with 5V/2A output. 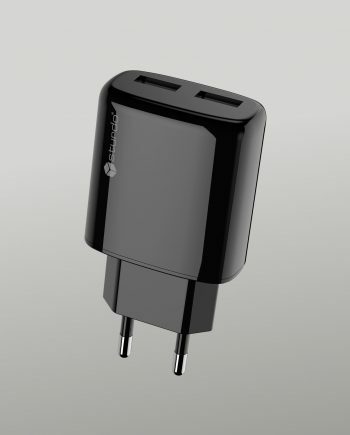 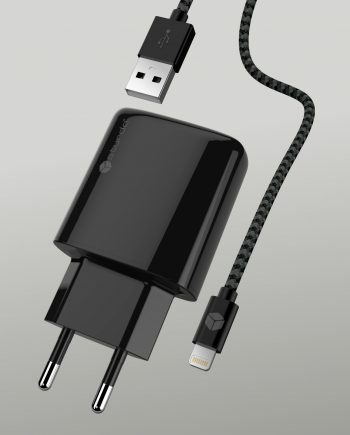 For charging, it is necessary to connect the charger into a power outlet (230 V) and use the appropriate charging cable.